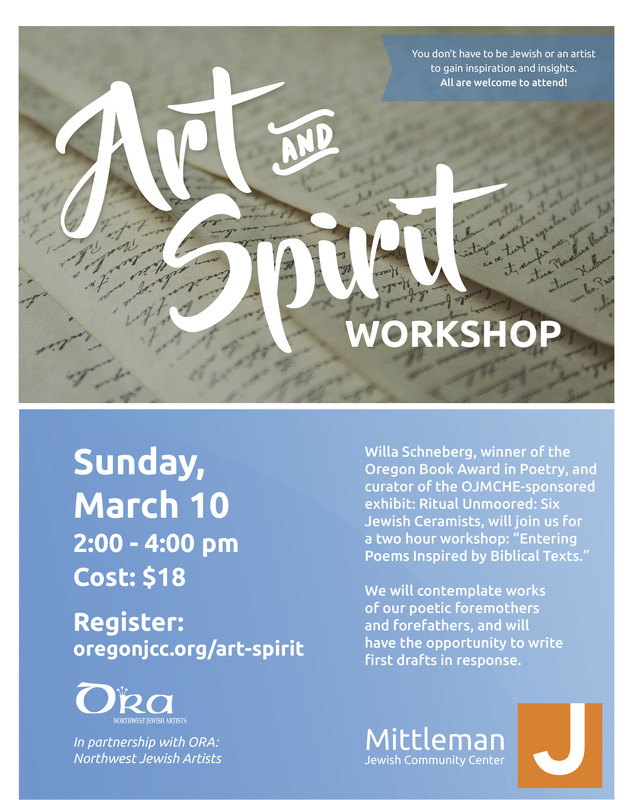 Willa will present a workshop based on poems by Jewish poets that are in part inspired by biblical texts. 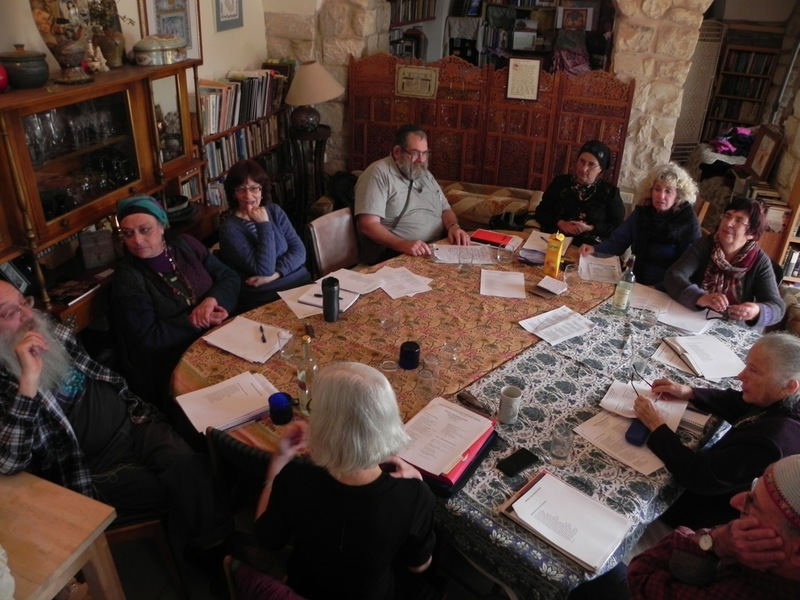 There will be time to write first drafts of your poems inspired by such poets as Yehuda Amichai and Chana Bloch. We will glean how the letter is a cousin to the poem. Indeed, they both share the need to communicate to a reader in evocative language. But in the epistolary poem the writer might be a persona and the reader might be “real,” invented, historic, an animal or a place. Masters in this genre: the Medieval Chinese poet Cao Zhi, Elizabeth Bishop, Ezra Pound, Langston Hughes and Bernadette Mayer will guide us in our process. 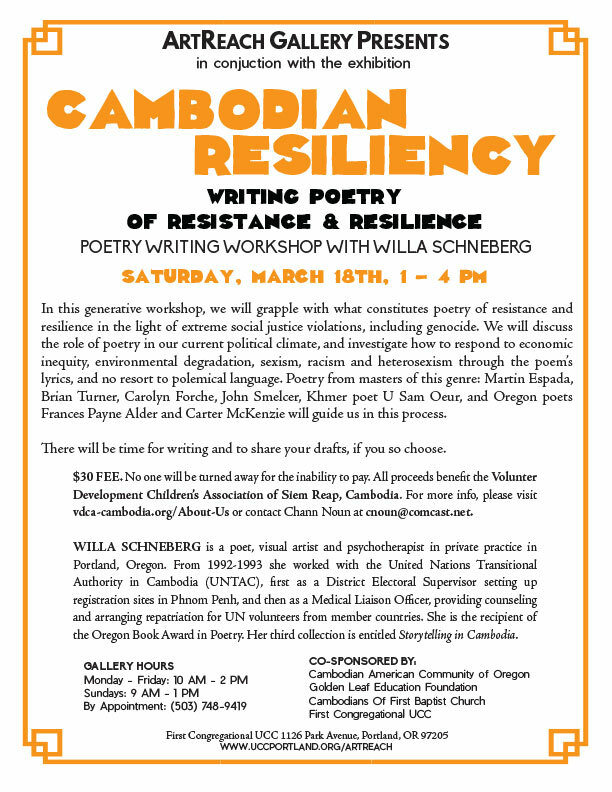 In this generative workshop, we will grapple with what constitutes poetry of resistance and resilience in the light of extreme social justice violations, including genocide. 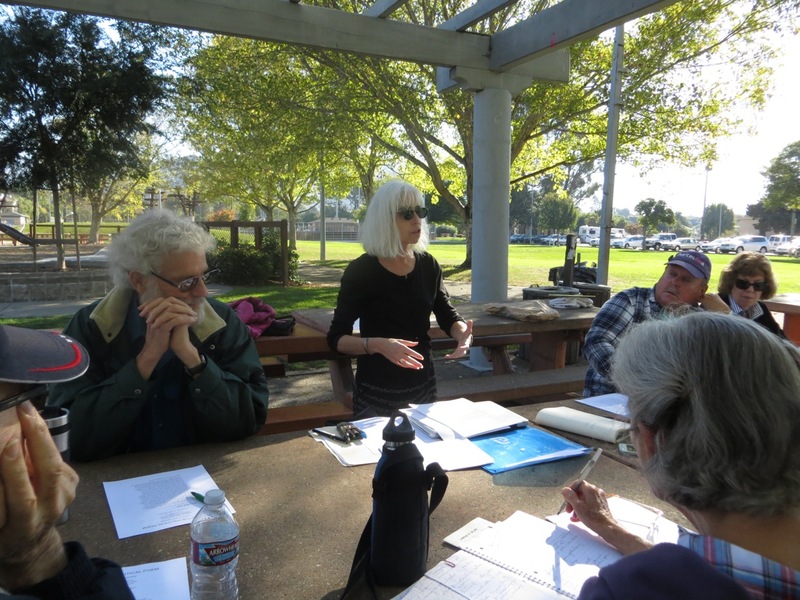 We will discuss the role of poetry in our current political climate, and investigate how to respond to economic inequity, environmental degradation, sexism, racism and heterosexism through the poem’s lyrics, and no resort to polemical language. 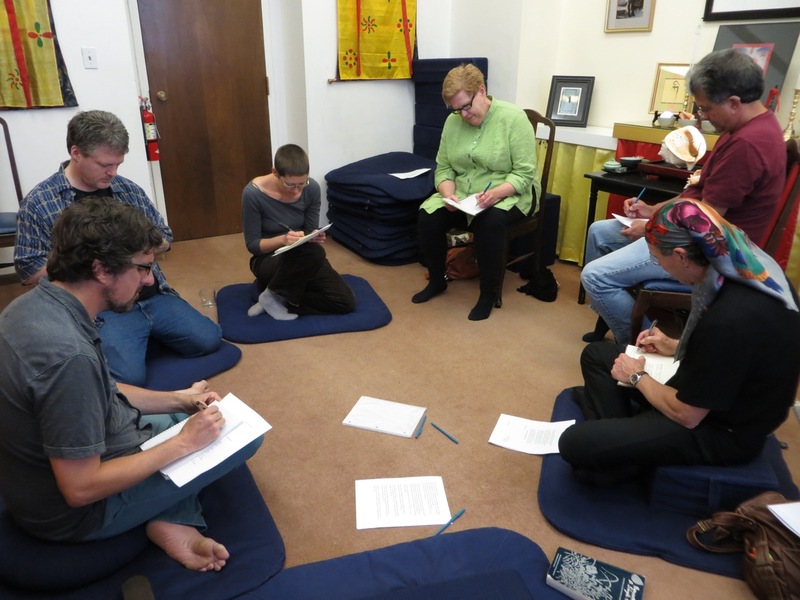 Poetry from masters of this genre: Martin Espada, Brian Turner, Carolyn Forche, John Smelcer, Khmer poet U Sam Oeur, and Oregon poets Frances Payne Alder and Carter McKenzie will guide us in this process. 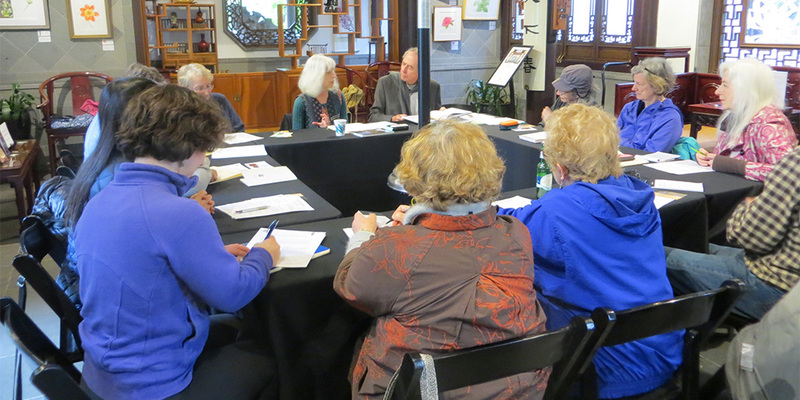 We fed our poetic appetites, and awakened our palates on the page. We wrote about the harvest, the marketplace, the sensuality of the epicurean experience, what we ingest, and what we imbibe.